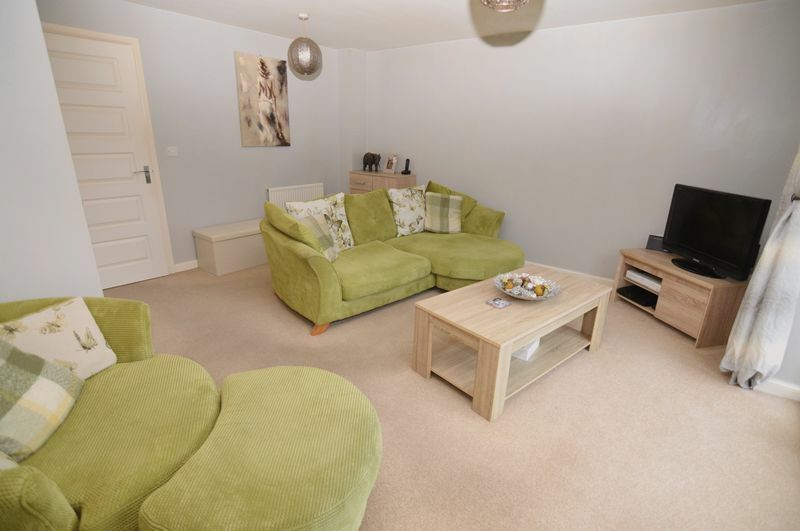 This simply stylish and particularly spacious modern detached three bed family home is situated on a popular residential development on the outskirts of Pontefract Town Centre, and is conveniently located and within good reach of local amenities, schools and transport networks. 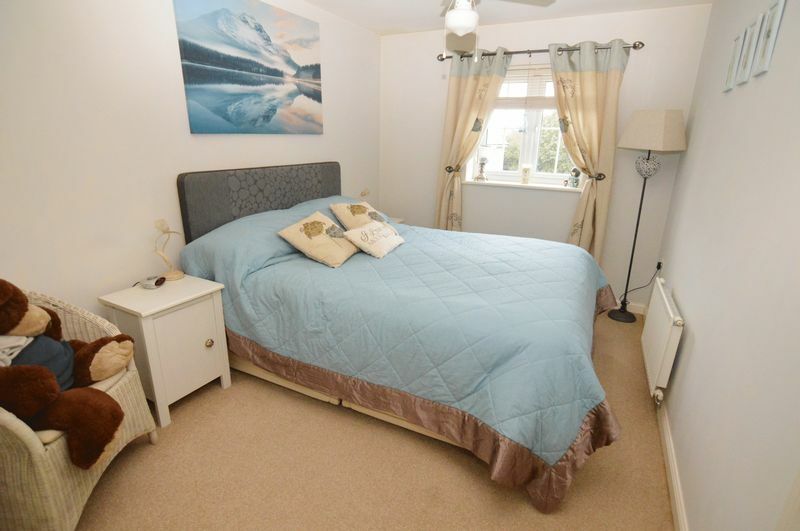 The property is superbly appointed and immaculately presented and the accommodation briefly comprises of: three good sized bedrooms (master en-suite), entrance hall, downstairs WC, breakfast kitchen, lounge / diner and bathroom. The front of the property is open plan and offers off road parking for two vehicles. An access gate opens to the side. 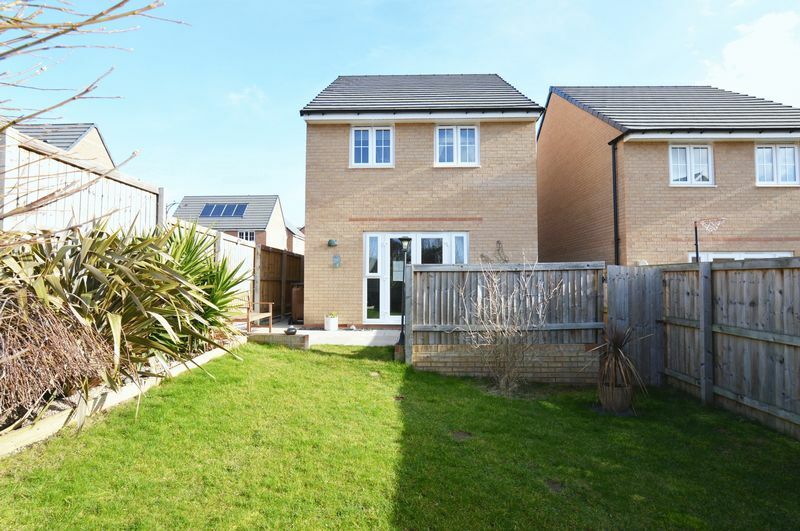 The rear garden is enclosed and has a good sized lawned area with mature planted borders and a paved patio area. 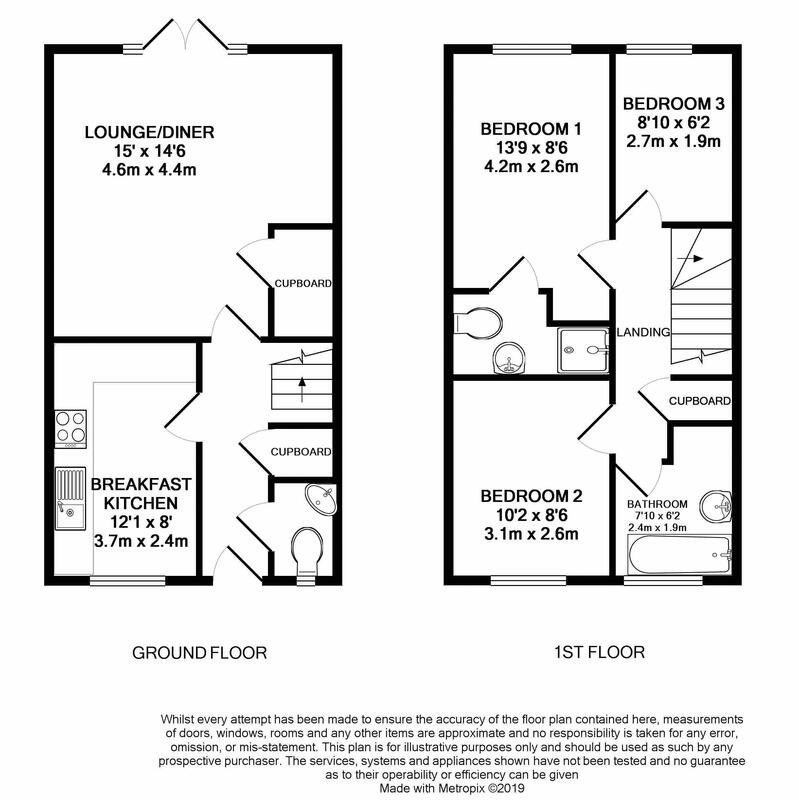 The property benefits UPVC double glazing and a gas central heating system. 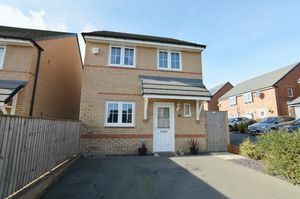 A composite door with an etched glazed panel opens to the entrance hall which has stairs leading to the first floor landing, a radiator and doors leading to a useful storage cupboard, downstairs WC, breakfast kitchen and the lounge / diner. 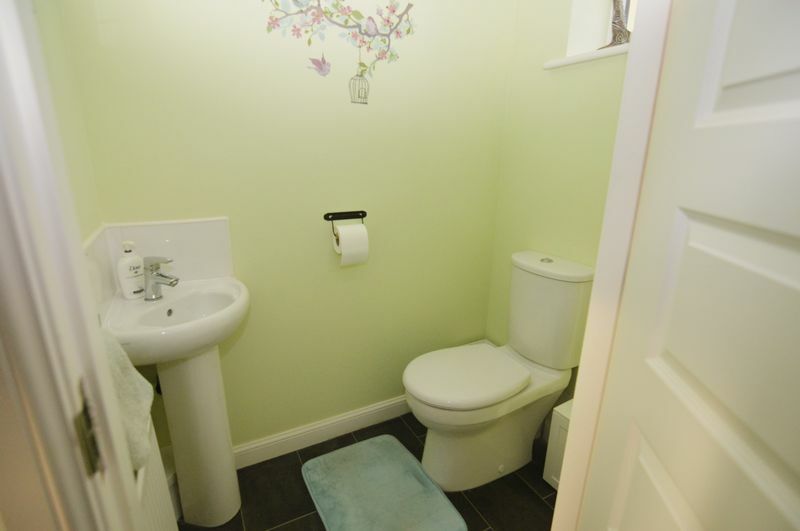 Fitted with a two piece suite in white comprising of a closed coupled WC and a corner pedestal wash basin, there is a radiator and an obscure glazed window to the front. 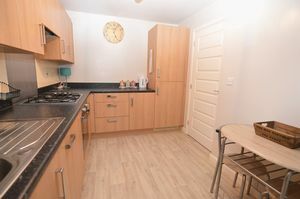 Fitted with a comprehensive range of wall and base units with granite effect work-surfaces over and matching stand-offs, inset with a stainless steel single bowl sink. 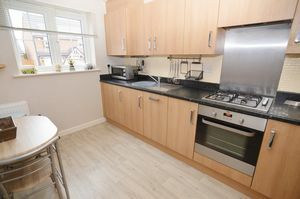 There is an electric oven, a gas hob with stainless steel splash-back and extractor fan over, an integrated washing machine, an integrated fridge and freezer, splash-back tiling, a radiator and a window to the front. The spacious lounge / diner floods natural light from the UPVC French doors with glazed side panels which lead to the rear garden. 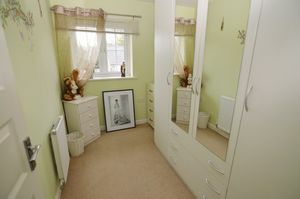 There are two radiators and a door opens to a spacious under-stairs storage cupboard. 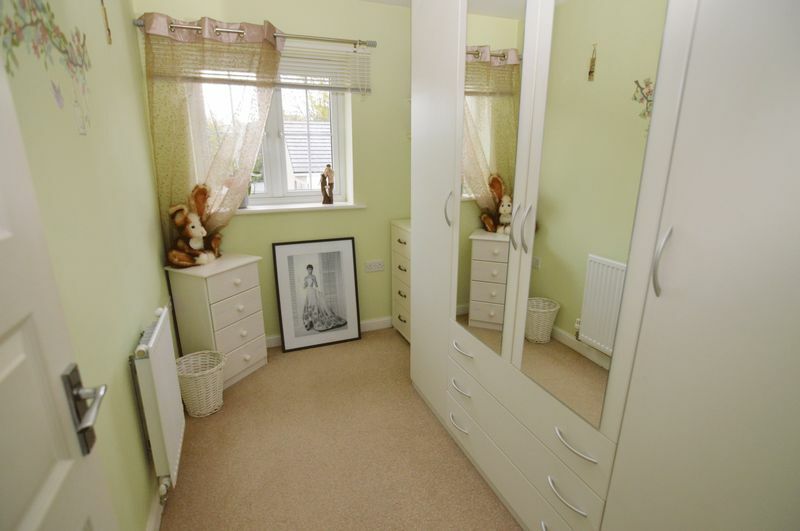 The first floor landing has an access hatch which opens to the loft space, a door leading to a spacious storage cupboard, a radiator and doors leading to the bedrooms and bathroom. A double bedroom with a window to the rear, a radiator and a door leading to the en-suite shower room. There is a built-in shower cubicle with an electric shower over and splash-back tiling, a closed coupled WC, a pedestal wash basin both in white and a radiator. Another double bedroom with a radiator and a window to the front. 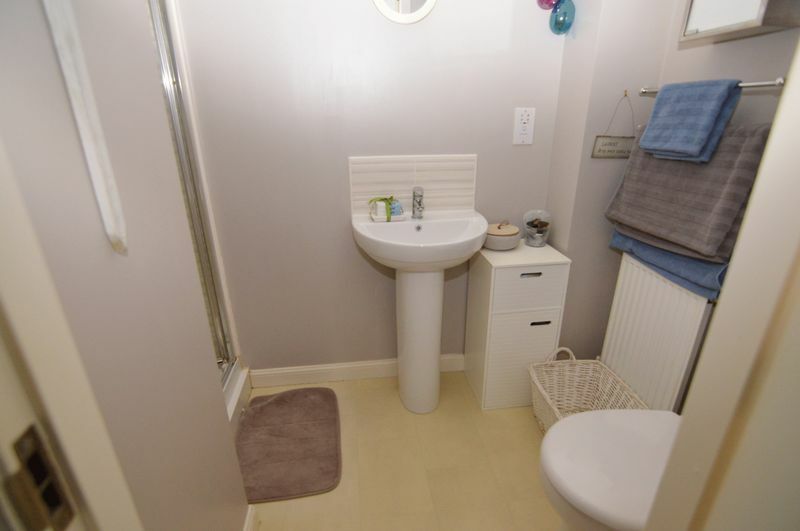 A generous single bedroom with a window to the rear and a radiator. Fitted with a three piece suite in white comprising of a panel enclosed bath, a pedestal wash basin and a closed coupled WC. 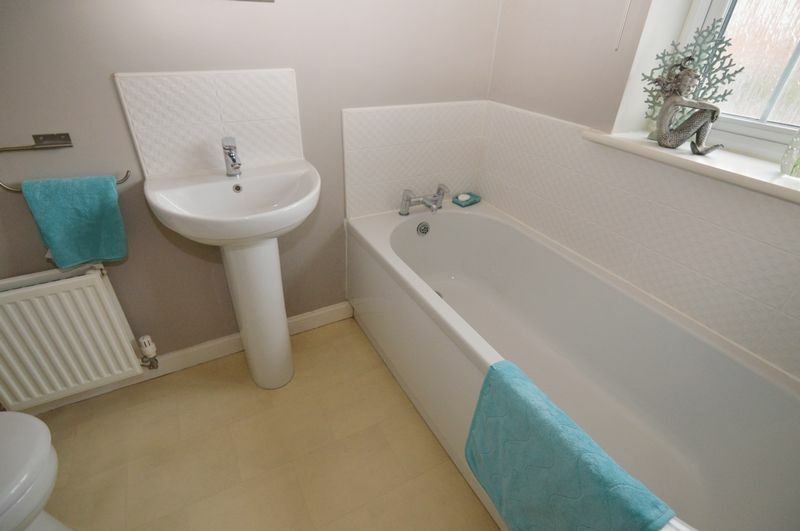 There is tiling to the splash-back areas, a radiator and an obscure glazed window to the front. 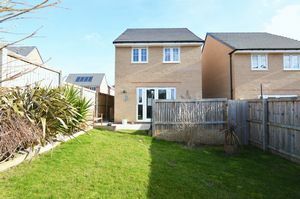 The front of the property is open plan and provides off road parking for two vehicles and an area planted with mature shrubs and plants. 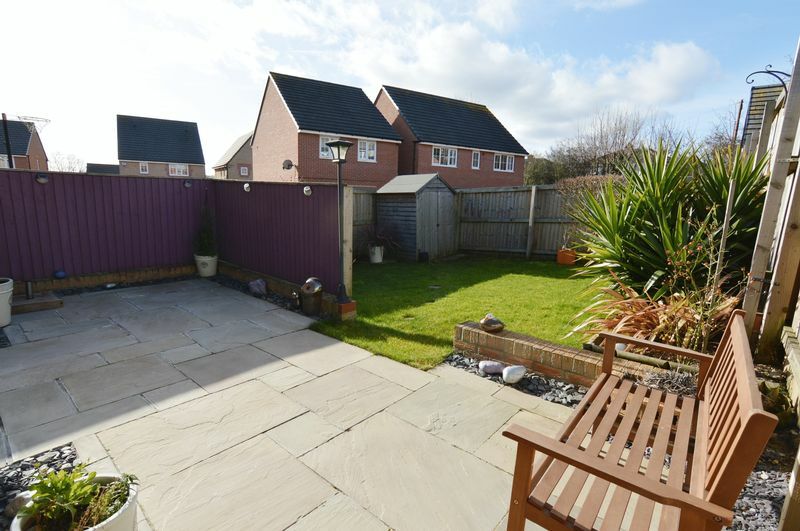 A timber gate opens to allow access to the side of the property and the rear garden. 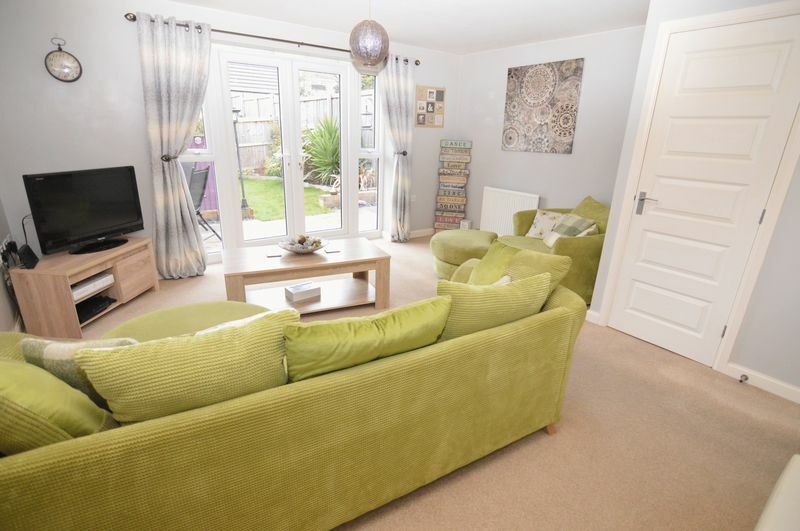 The enclosed rear garden is well maintained and of a generous size with an area laid to lawn bordered by mature plants and an attractive flagged patio area which is partially screened for privacy.